Don’t forget Trees, Shrubs and More when you are out looking for your Christmas tree. We have a variety of sizes and types for you to choose from. We also have a great selection of fresh wreaths, door/table swags, garland and loose greens. 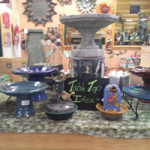 We have a gift shop full of great and unique gifts for the gardener in your life, so stop in and check us out. Our store hours are currently Monday-Saturday 8am-5pm and Sunday 11am-4pm. We will be closed on Thanksgiving day to spend it with our families, but will re-open November 27th with the hours being Monday-Saturday 8am-6pm and Sunday 10am-5pm. 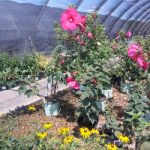 The nursery will close for the season on December 31, 2015 and we will re-open on March 1, 2016. We would like to thank everyone for a successful year and can’t wait to help you with your garden/landscape needs come Spring of 2016! Happy Holidays and Happy New Year from all of us at Trees, Shrubs and More. Did you notice all of the evergreens this past spring that looked brown and dry? There was a great deal of winter burn on evergreens due to our dry winters. Winter burn happens when sun and winds steal the moisture out of the foliage or needles of our evergreens. 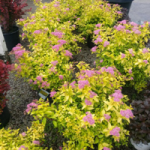 This time of year we use an anti-desiccant called Wilt-Pruf and spray it on all of our evergreens, including Rhododendron, Boxwood, Holly and other broad or needle-leaf evergreens. The spray works by sealing in moisture to keep the plants green. We recommend a second application in February when the temps will be in the 40’s to protect the plants for the duration of the winter. 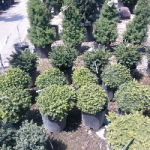 Stop in the store to learn more about protecting your trees and shrubs this winter. Don’t forget Trees, Shrubs and More can take care of your Fall landscape clean-up. We also offer snow removal and sell Christmas Trees with all the trimmings. Please contact our store to set up a time with one of our experienced designers to help you get ready for the season change. Our store hours are currently Monday-Friday 8am-6pm, Saturday 8am-5pm and Sunday 10am-5pm. Happy Fall!!! Stop in to the store and check out all of our great end of the season sales…. Happy Fall! Fall is a great time to plant trees. 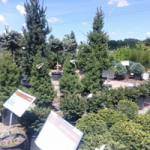 Stop in and check out our tree inventory. We have all trees on sale for 25% off. 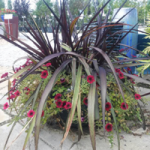 We also have a great variety of fall plants and decorations to bring some color into your landscape. We are still picking apples! Plenty of varieties left to choose from. Stop in this weekend to sample some of the local apple pies and cider we carry in the gift shop. We will also have cider press demonstrations going on through the weekend. Don’t forget to stop in for our Open House this weekend, September 12th and 13th. We will be having some great sales, lots of sampling of the Nebraska wines and hard ciders, samplings of our new beer breads and dips, grilling on the patio, apple pick’n and much more! Don’t forget to enter to win a $100 gift certificate or one of our gorgeous boulders! See you all than! It is that time of year again and our apples are ready for pick’n!!! We just started picking Gala apples from the field and they are at peak perfection right now. We have a limited amount of Honey Crisp Apples and Bartlett Pears available in the store, along with some other fall goodies. Check back to see when some of our other delicious varieties of apples will be ready for pick’n. **Our Orchard hours are Monday-Friday 8am-5pm, Saturday 8am-4pm and Sunday 10am-4pm. Come join us on Saturday, Sept.12th from 8am-5pm. We will be grilling out on our patio from 11am-2pm, while enjoying a clown balloon artist and wine tasting from some of our local wineries. We will also be sampling many of our local products that we carry in the store. In addition, on Saturday only, we will be offering 30% off everything on the lot to celebrate 30 years of business. 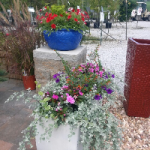 This will include Trees, Shrubs, Perennials, Pottery, Bulk and Hardscape materials and much more in our Gift Shop. Now through August 4, we have some great sales! 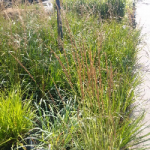 Perennials, Ornamental Grasses and Table Top Decor are 25% off. 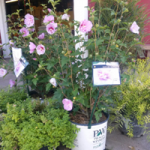 Shrubs, Potted Evergreens and bagged Mulch are 20% off. 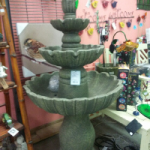 Fountains are 30% off and Annual Hanging Baskets and Planters are 40% off! 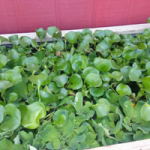 We also just got some great new water plants in, they are Water Hyacinths and Water Lettuce. Come in and let us help you find the perfect plant today! On Monday, June 29th, our hours will change for the Summer. We will be open Monday-Friday 8am-6pm, Saturday 8am-5pm and Sunday 10am-5pm. We will be closed Saturday, July 4th. Gooseberries are ready to pick in the Orchard now! 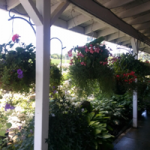 Annuals, Tropicals, Veggies, Herbs, Water Plants,Small Evergreens (4″) and Qt. and smaller Perennials are now 40% off. 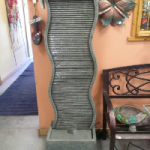 Bulk decorative and river rock (excluding limestone) is 15% off. And in the Gift Shop, gazing balls and stands are 20% off; and Pot Stickers are buy one, get one half off. Is it really almost the end of May?